As Dan Green opens the door of his 21-foot, four-season trailer he is greeted with a burst of 10-degree air, immediately chilling his nostrils. “It’s invigorating,” said Green, a 79-year-old retired paramedic fire chief. 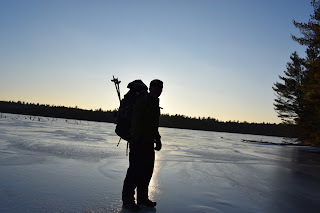 Green and his partner, Carolyn Wilson, have left their home in sunny Florida each of the last 12 years to winter-camp at Tahquamenon Falls State Park, located 75 miles north of the Mackinac Bridge in Michigan’s Upper Peninsula. 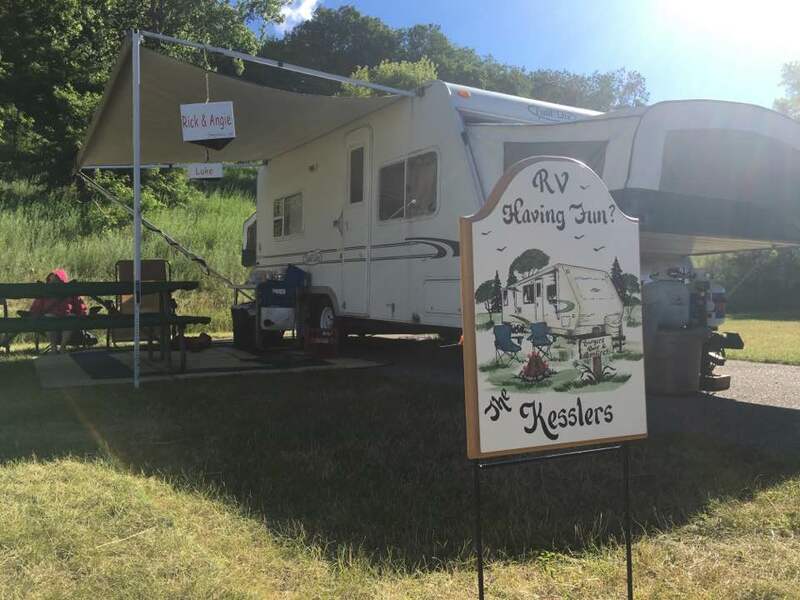 They now serve as volunteer campground hosts at the park’s Lower Falls campground during January and February, greeting and assisting other campers and maintaining snowshoe trails. In addition to campers, Tahquamenon Falls State Park is a premier winter destination for many outdoor enthusiasts. Snowmobiling along trail No. 45 brings riders to the Upper Falls, and the privately-owned Tahquamenon Brewery, which offers a chance to warm up by the outdoor fireplace or inside with a meal and a beverage. Visitors also can drive to the Upper Falls and walk a third of a mile along a cleared trail to the viewing areas. Indiana State Parks volunteer Jerry Byard has been taking photographs of the Upper Falls for years and is especially fond of the winter. Porcupine Mountains Wilderness State Park in the western U.P. is another popular winter destination. Although the park’s campground is closed during the winter, rustic cabins and yurts are available, scattered throughout the 60,000-acre wilderness. Park staff takes pride in grooming 26 miles of cross-country ski trails, complete with warming shelters. “The Porkies,” as the park is affectionately known, also offers a downhill ski area, managed by staff from Gogebic Community College. There’s plenty of winter fun to be had at state parks in the Lower Peninsula as well. David Mitchell and his 14-year old nephew, Brandon, participate in the Michigan Department of Natural Resources’ Hard Water School, an annual ice fishing clinic offered at Mitchell State Park in Cadillac as part of the DNR’s Outdoor Skills Academy. The Mitchells are in good company, as ice fishing experts demonstrate techniques to catch panfish, walleye and pike. A bit east of Mitchell State Park, the Cadillac Pathway trailhead often is filled with cyclists preparing to head out on their fat-tire bikes. The Michigan Mountain Biking Association partners with parks across the state to provide groomed trails perfect for fat-tire biking. Chad Jordan, president of the Northern Michigan Chapter of the MMBA, recently teamed up with Leelanau State Parkand local volunteers to create multiple 2- to 3-mile groomed loops within the state park. Across the state at Muskegon State Park, just north of Muskegon on Lake Michigan, even novice adventurers will find a variety of winter recreation options at the popular Muskegon Winter Sports Complex. 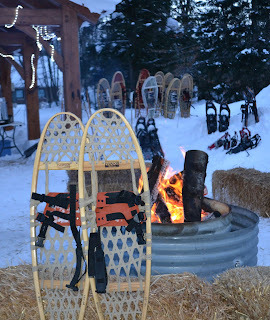 Visitors can enjoy an Olympian-designed luge track, an ice skating trail through the woods, a sledding hill, cross-country ski trails and many other activities. 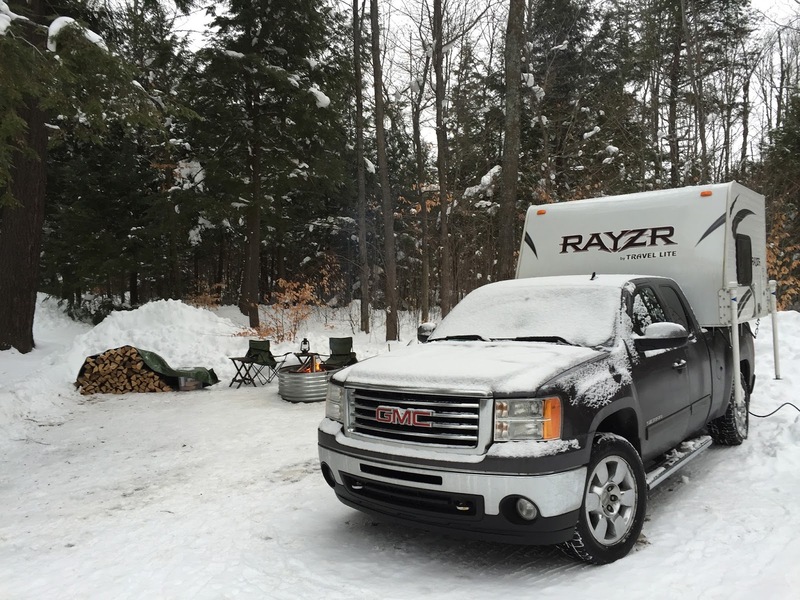 Winter camping is an option at 15 state parks across Michigan. Select campsites are cleared of snow for access to electricity, a picnic table and a fire ring. Rifle River Recreation Area in Ogemaw County and Tawas Point (Iosco County), Mitchell (Wexford County) and Traverse City (Grand Traverse County) state parks offer a heated shower building for those looking for more comfortable amenities. 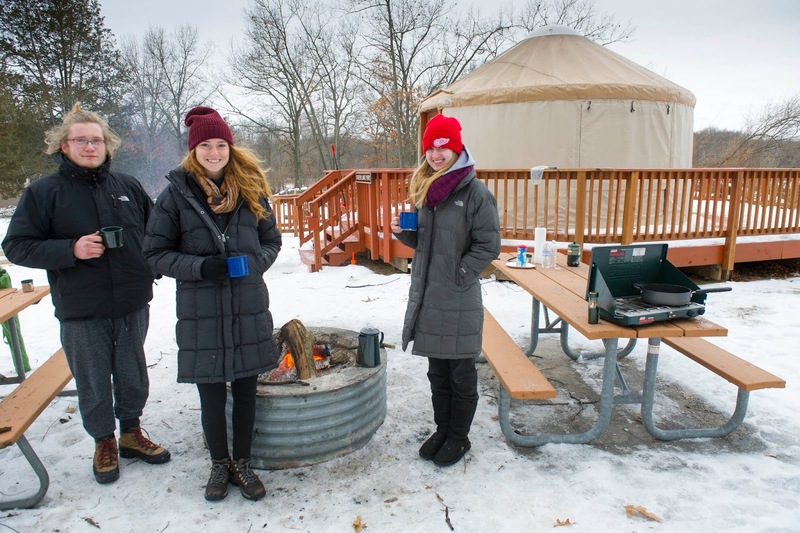 Mini cabins, lodges, yurts and backcountry camping are offered at more than 53 state parks during the winter. More information about lodging options is available at www.michigan.gov/dnrlodging. 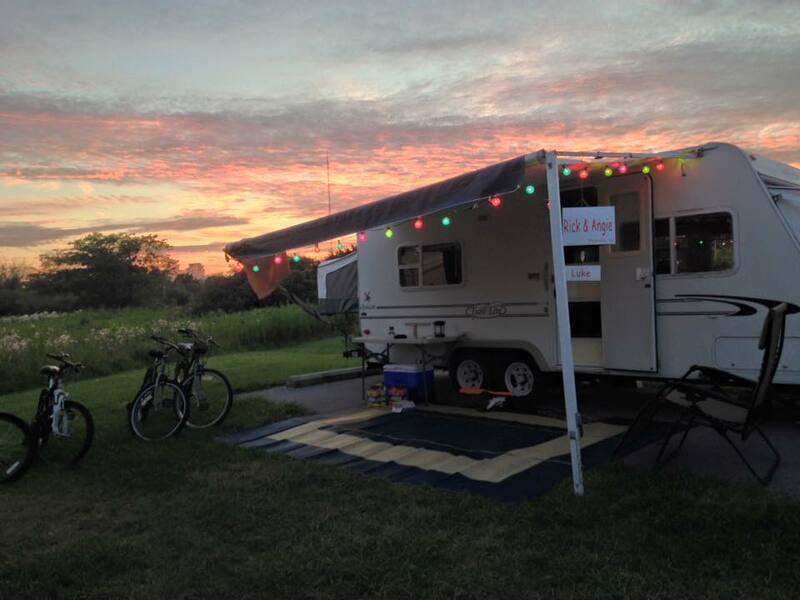 Camping and lodging reservations can be made by calling 1-800-44-PARKS or online at www.midnrreservations.com. Whether your interest lies in camping, fishing, snowshoeing or photography, Michigan State Parks have you covered, for only $11 per year with the Recreation Passport. Bundle up and get some fresh clean wintertime air – the mosquitoes will be out before you know it.